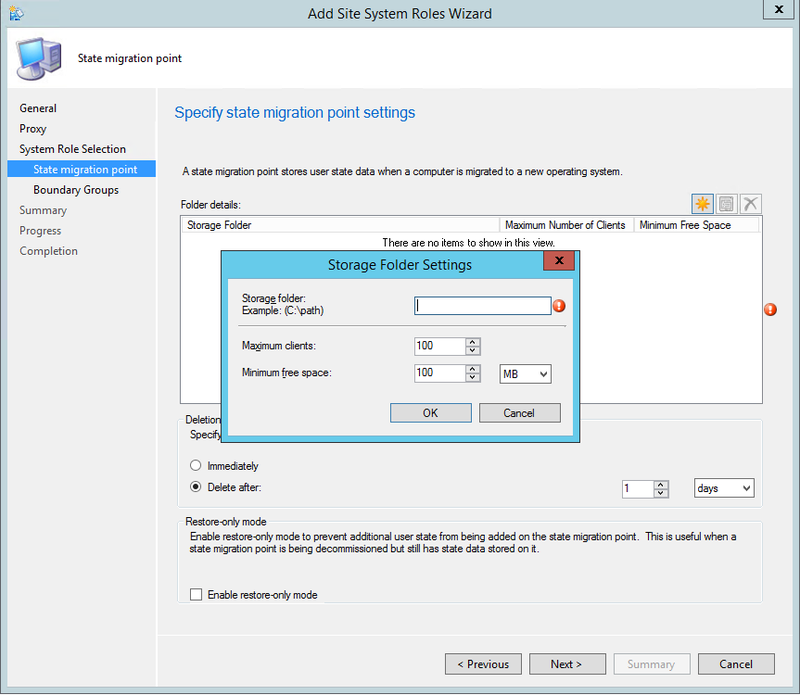 In this part of SCCM 2012 and SCCM 1511 blog series, we will describe how to install SCCM 2012 R2 or SCCM 1511 State Migration Point (SMP). 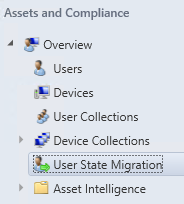 The State Migration Point stores user state data when a computer is migrated to a new operating system. This is not a mandatory Site System but you need a State Migration Point if you plan to use the User State steps in your Task Sequence. These steps integrates with User State Migration Tools (USMT) to backup your user data before applying a new operating system to a computer. The State Migration Point is a site-wide option. It’s supported to install this role on a child Primary Site, stand-alone Primary Site or Seconday Site. It’s not supported to install it on a Central Administration site. 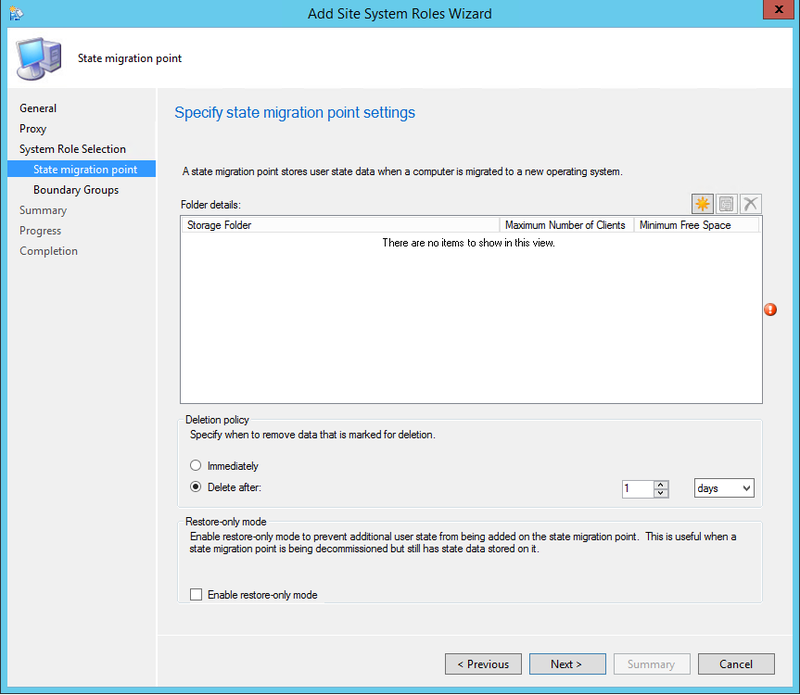 Beginning with SCCM 2012 R2, the State Migration Point can be installed on the site server computer or on a remote computer. It can be co-located on a server that have the distribution point role. Specify the Deletion Policy. This is the delay to keep the data after a successful restore. If you have any error in the installation process refer to this post that explains the permission needed for the SMP to install correctly. To store the user state data on a State Migration Point, you must create a package that contains the USMT source files. 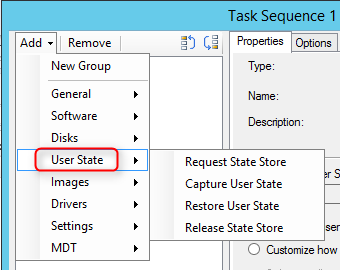 This package is specified when you add the Capture User State step to your task sequence. 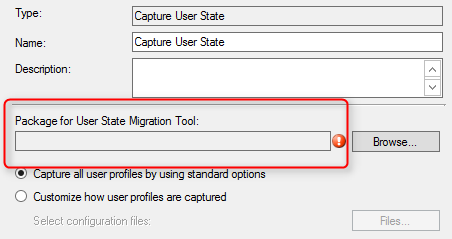 The State Migration Point and the USMT package are now ready for use in an OSD Task Sequence using the Capture User State and Restore User State steps. 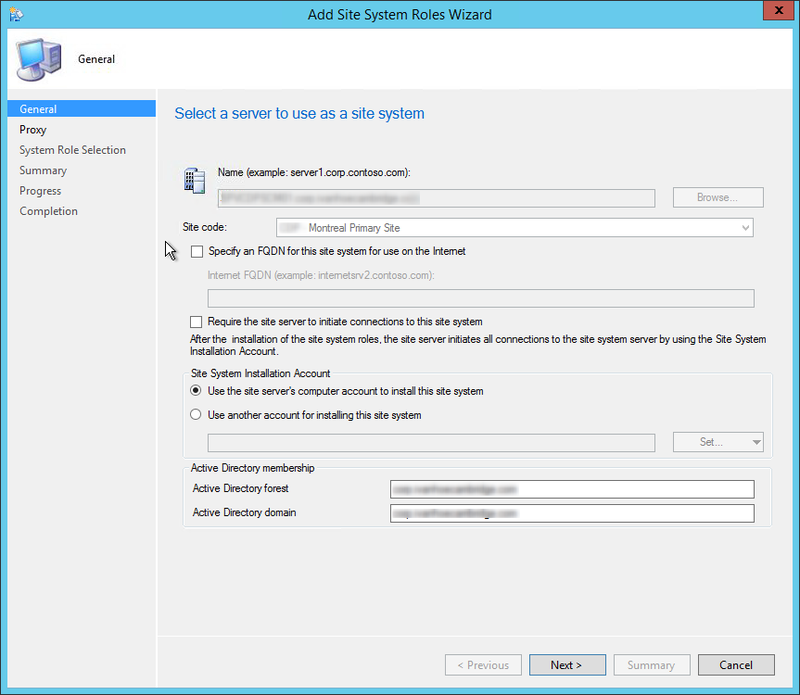 How do I specify a large SCCM 2012 R2 environment to use only one SMP? Can I add just the SMP without having to create a DP, or can I add the existing group boundaries to the SMP without affecting how updates, and software pushes are delivered to the clients? I am performing a migration of SCCM 1607 from one domain to another. The migration is going well. One of the last things I am doing is creating a USMT SMP from scratch (nothing to migrate from old environment, really). I have the SMP installed successfully but am not able to capture profiles, nor even scan the current state of the store at \\\. Question: I pre-installed IIS pre-requisites and notice that in your instructions above, you did not. I am now getting website\IIS errors. 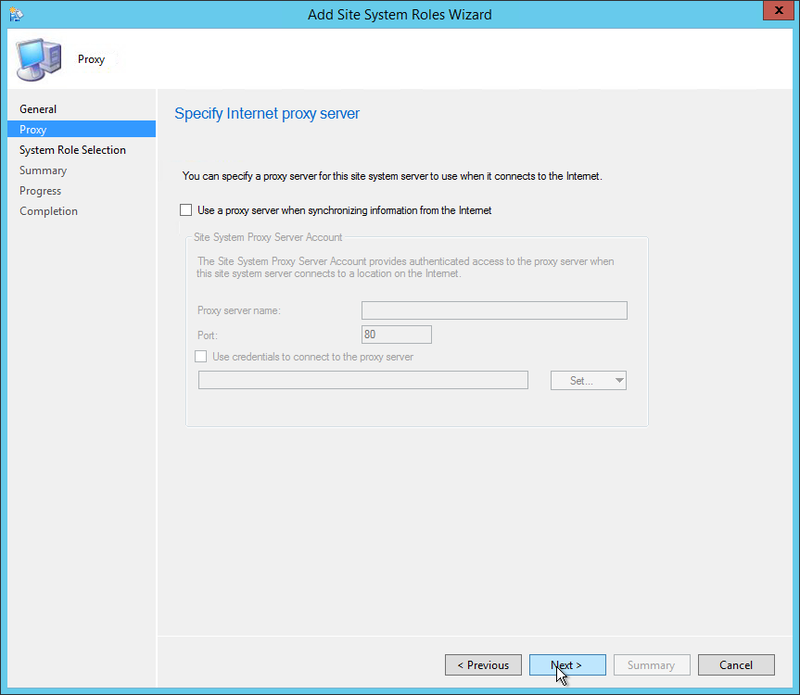 SMP uses IIS, obviously, but should I have left IIS configuration up to the installer? Any help you might have would be great… thanks. I Have two SMP and two site. 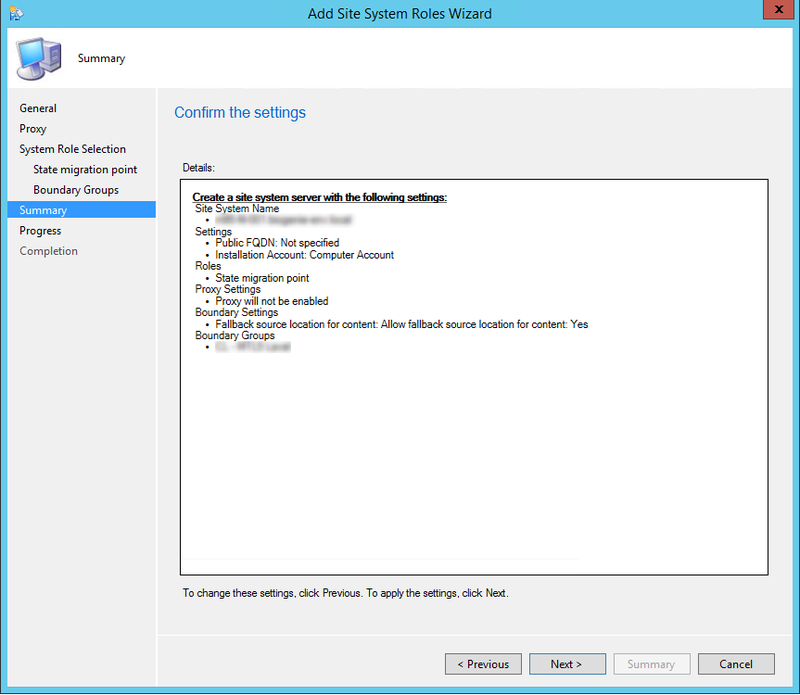 In SCCM I create 2 boundaries, 1 for each site. 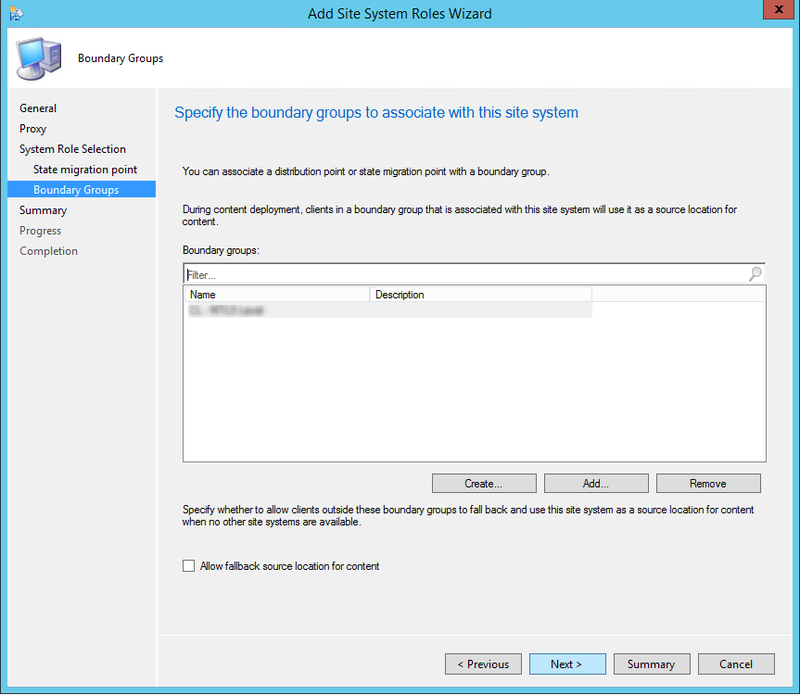 I create 2 boundaries groups 1 for each site and I configure each SMP to use a boundary of each site. I have one DP who have role SMP to. When I try to use SMP on the second site. This is SMP who on my First site who save my profil(s). How does the task know which DP to use to upload the capture to? I try a test and the package was capture on the local c: drive and not on the DP assigned to the site. 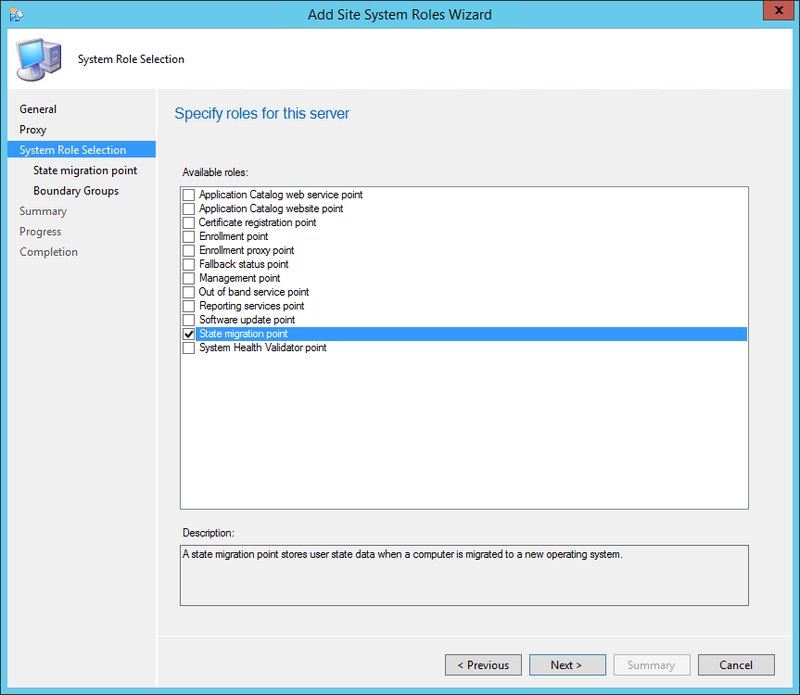 why we need to create USTM package although it is already in the sccm 2012 r2 cu3 package list?? No need to create it if it’s already there. But aren’t we using the MIGuser and the Migapp xml files when we are only to use one? My scan states are taking forever and I cannot find any info on this.